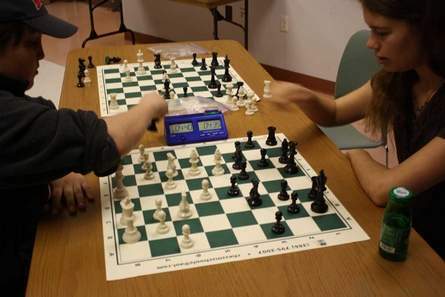 ‘Kai Tabor of Port Orange has been playing chess since he was 3 years old. Now, at 15, he’s teaching other kids to play. Chess, a game of total concentration and strategy, first known origin was in India and then spread to the Middle East. In the 20th century, chess became one of the most sought after games of concentration in history. Chess is one of the few games where children can be on the same playing field as adults. The youngest recorded chess grandmaster is just 6 years old.